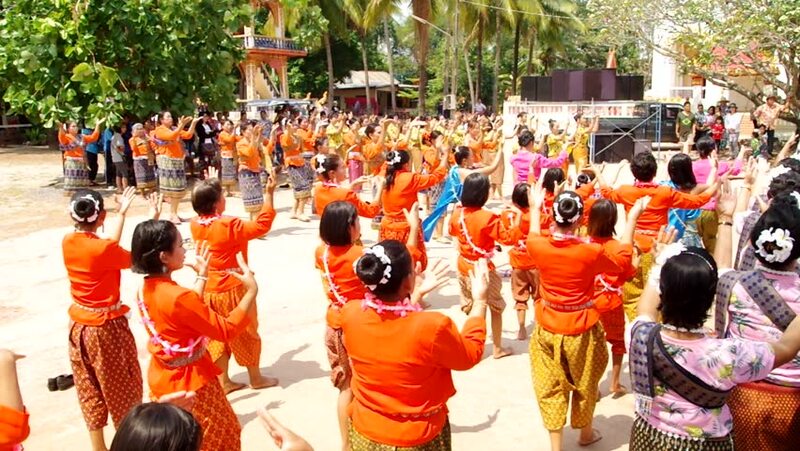 Udornthani Thailand , April 12 - 2018 : Thai people dancing Thai style in Songkran festival at Thailand. hd00:07Udornthani Thailand , April 12 - 2018 : Thai people dancing Thai style in Songkran festival at Thailand. hd00:16Tiruchanur, Tirupathi, AndhraPradesh India - December 08 2018: People perform Arts at Hindu Religion Annual Goddess celebration Event, local language called "Sri Padmavathi Ammavari Brahmotsavam 2018"
hd00:13BANGKOK, THAILAND - April 2018 : Thai-Mon People celebrate Songkran Festival (Thai New Year) walking in parade holding procession of swan and centipede flags at Songkran Phra Pradaeng with costume. 4k00:06Barcelona, Spain - 21 AUGUST 2017: A Woman burning a candle for the victims of terroristic attack in Ramblas. A van ploughed into crowds in Barcelona's famous Las Ramblas area on 17 August 2017.